One of the biggest events for the carnival season will be held this Saturday at the ITVET. It’s the seventh annual Soca Madness…the longest running dance competition associated with the season of bacchanal. It’s organized by Flavaz Entertainment and is essentially a fundraising event for the five junior and six senior bands that will be competing in the September twelfth Carnival Road March. 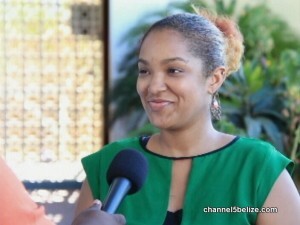 News Five spoke this afternoon with Public Relations Director, Andazi, about the event. The junior bands are: Mahogany Masqueraders, Pickstock Carnival Band, Sunshine Masqueraders, Collet Royal Masqueraders and Trench Town Masqueraders. The senior bands are: Jam Jam, Mother Nature’s Creation, Rampage Mas Band, Soca Moca, Belize United Carnival Band and Revolution Mas Band. The event starts at six p.m. for juniors and ten p.m. for seniors.